Around 8 million sq. 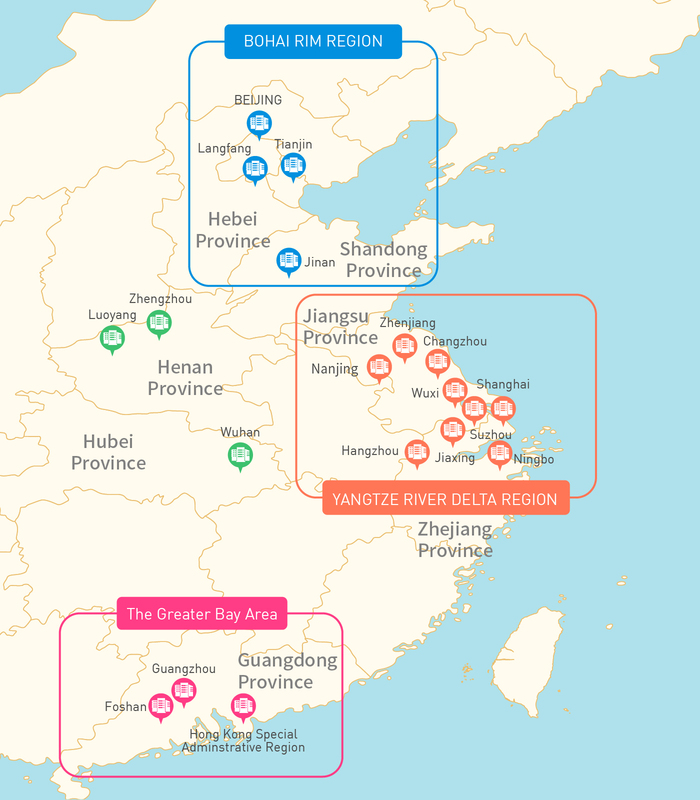 m.
Our property development business involves in Yangtze River Delta Region, Bohai Rim Region & The Greater Bay Area with around 8 million sq. m. of total GFA. For more details of our property development business, please click icons on the map.